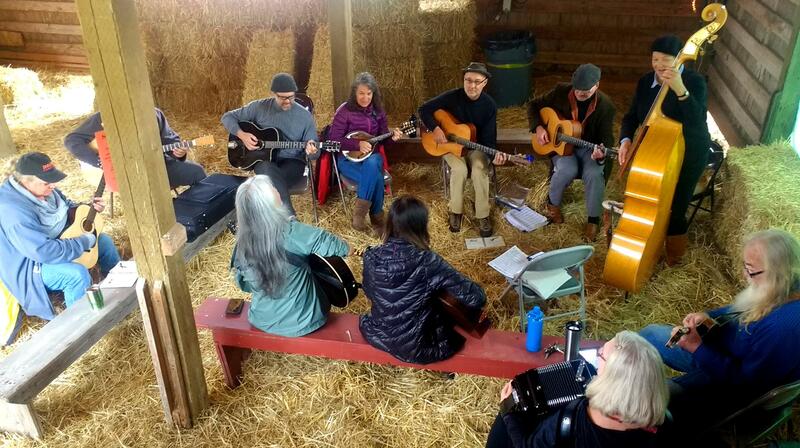 Camping and Jamming at DjangofestNW 2018. Comments please. Greetings. It would be great to hear how your camping and jamming experience was at DNFW2018 this year. We ironed out some wrinkles and were prepared for rainy weather- which was welcomed! I would love to hear your suggestions as well. Jamming at @DjangoFestNW 2018 at the Island County Fairgrounds Campground, Langley WA. I was only there Wednesday in the campgrounds but the help was welcoming and placing the bails to block out the wind in the barn was very pro-active...great experience! Is that how you keep the clarinets out? Great! Now what to do about those pesky violins?